The ultimate Chelsea tractor from the Chelsea Truck Company? The last time we checked, there weren’t too many monstrously-sized off-road obstacles that needed tackling in SW6. This hasn’t stopped the Chelsea Truck Company unveiling its latest Land Rover Defender-based conversion: Big Foot. When it comes to pickups, conventional wisdom dictates that the Americans have it locked down with offerings such as the Ford F-150 Raptor. However, the Chelsea Truck Company Big Foot now means we might just have found a suitably British alternative to muscled-up ‘Murican metal. 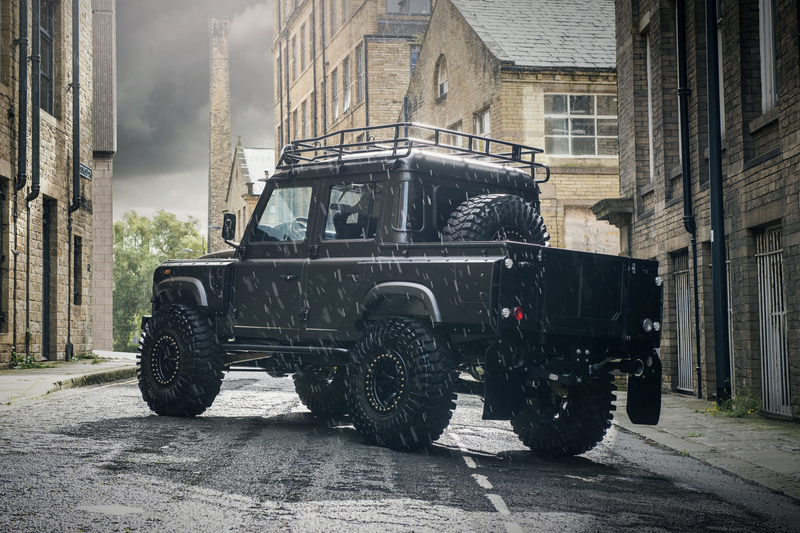 Built around a Defender 110 pickup, CTC’s Big Foot moniker undoubtedly comes from the imposing satin black 16-inch wheels (complete with beadlocks to keep those humungous Maxxis Trepador tyres from rolling off the rims if things get particularly gnarly). The steroidal aesthetic is enhanced further with a signature Chelsea Truck Company ‘Volcanic Rock Satin’ paintjob, vented front wings and widened rear arches made from a lightweight composite. 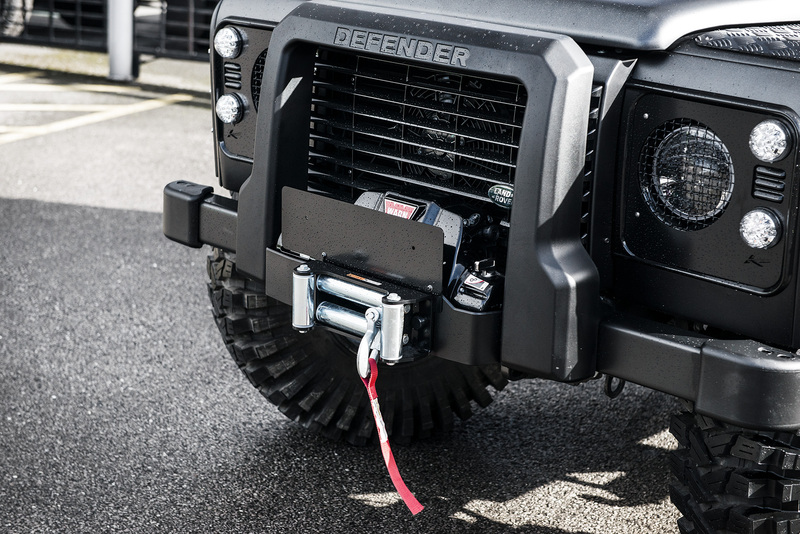 There are a host of other blacked-out details (including the LED headlight surrounds and custom front bumper) while CTC have also prepped Big Foot for round-the-clock adventuring with the addition of a winch and pair of Cibie spotlights. 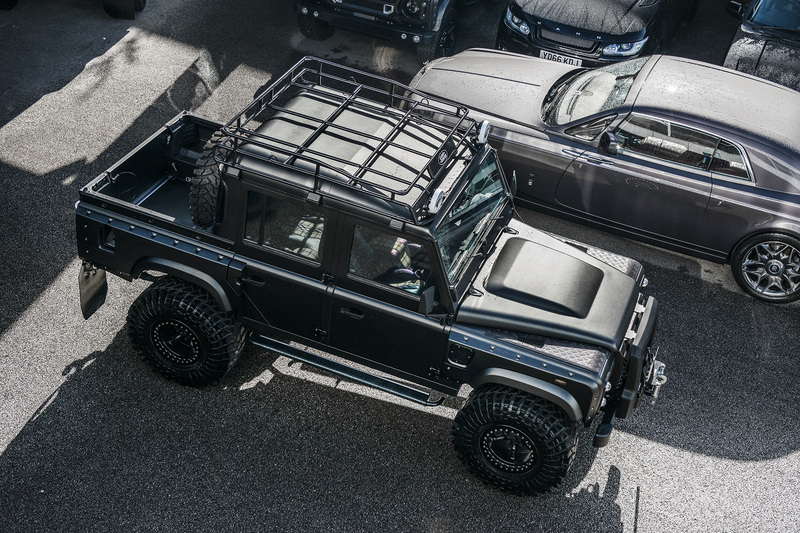 Inside, the usually plastic-heavy Defender interior has been given a luxury makeover by the Chelsea Truck Company team, Big Foot being bestowed with a set of racing-style buckets seats clad in Russian Blue leather and Harris Tweed inserts. The centre console, roof lining and door cards are similarly trimmed, while there are also a myriad of aluminium details (such as a three-spoke steering wheel and vented pedals) to complete the sporting vibe. We just hope that those who plump for the Chelsea Truck Company Big Foot conversion – the price starts at £64,995, by the way – let their 4×4 escape the city limits and roam free in the great outdoors.